Have you ever wondered how (your) emotions influence (your) trading? The trader’s emotional stability is just one aspect. In his interview with George Papazov, a full-time professional trader, Trent (drinkforex.com) explores how human psychology and emotion still drive the market in the era of algos, tackling the subject of insider trading as well. 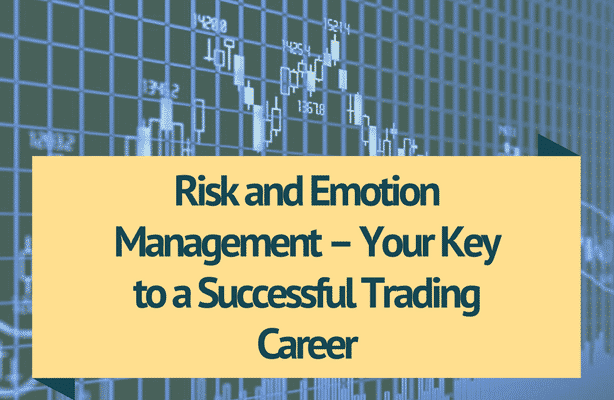 George also shares some valuable and concrete advice on how to manage your risk and be on top of your trading career. In association and permission from drinkforex.com we made transcript of most important parts of great video interview with George Papazov made by drinkforex team. TRENT HOERR (TH): Can you give a brief rundown of your background in the trading industry? GEORGE PAPAZOV (GP): Yeah, absolutely. TH: …And what you do. GP: Yeah, for sure. I started trading on the, with a friend. 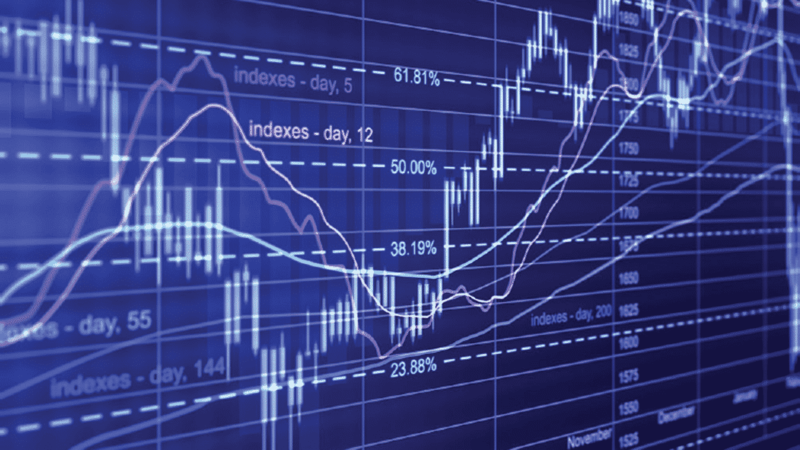 We, we founded a proprietary trading company on forex. It was just the two of us so it was our own capital. Uh, I was fairly young at the time and we had a pretty good successful run for a couple of years and, of course, like any partnership, partners eventually end up going their own ways. Um, we got out of that, then I went to school for… to learn how to trade a little bit better. I went into finance thinking “hey, this is gonna be the answer”, while I traded, learned that it’s not gonna teach you anything about trading. From there I went to work for one of the biggest banks in, in Canada, on their trading floor. And I was actually on the desk in 2008 and ’09 when the, when the crash happened and the calls that we took – I’ll never forget ’em – I have mega chills down my spine when I still think of it cause I remember every word; some of the most – how do I say it – dark, um, conversations that I’ve ever had with anyone that I’ve never met before happened in those days. And so I said “You know what? There were signs that this was gonna happen.” And back then I was publishing a blog, kind of calling for this crash, and when it happened I took absolutely no happiness or pride in it and I said “Wow, I, that was one of those times when I was like, I wish I was wrong.” And you know, things went downhill and from there I said “This is my inspiration, I wanna actually help people learn how to do this.” I wanted to let the retail crowd have a level footing with the professionals and learn how to trade successfully. So that’s why my catalyst is 2012 – I started the company and since then I’ve essentially just been running TRADEPRO and trading and teaching others how to accomplish success at the markets. TH: You mentioned you’re a day trader. What exactly is a day trader for those that don’t know? GP: Yeah, for sure. So it’s the time span… When you, when you kind of refer to yourself as a day trader it’s a time span that you hold a position. 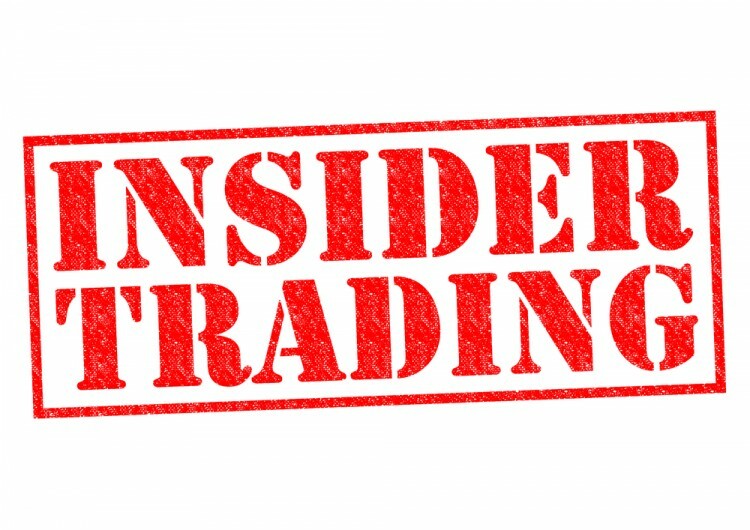 So the way you could see it is: if you buy a position, if you start with cash, get into a trade and get out, end up in cash, you’re considered to be a day trader. You might hold for a few minutes, a few hours, up to a day but usually at the end of the day you’re out in cash. So my positions are based on momentum through a chart on the one day: I’ll get in and then I’ll get out. So I’ll start with cash and at the end of the day I’ll end with cash and I’ll sleep easy. GP: Swing trader is a more longer term, right, it’s a couple of days and um I, I was a swing trader before. It’s interesting, my bread and butter were swing trading options and then I recently got into futures – couple of years now, when I say “recently”. I’ve been doing it, I’ve been at this game for a long time but recently with futures I’ve become more of a day trader just because that’s how those markets are. It’s hard to hold swing trade positions with, um, with all this volatility, right? TH: Emotion – can you go into a little bit about that? Because it’s not as if you’re, you know, you’re trading in the pit someplace where you can see the person emotionally getting upset and physically getting upset. You’re, you’re seeing bids and offers and trading in the market, like, what, what is emotion to you? TH: If you’re on, sorry, if you’re on what? TH: What is that, what is that? TH: Is this a Canadian thing? TH: How do you spell it? GP: K-I-J-I-J-I.ca. I’m not affiliated with them, I’m not a… Maybe it is a Canadian… Or craigslist, it’s a quality craigslist. TH: OK, yeah, I know craigslist. GP: Yeah, yeah, so you show up on let’s say on a craigslist ad you wanna buy a PS form from somebody and what you don’t realize is you’re in a market right there, it’s an emotional transaction. You show up and you have, let’s say, 300 bucks, and you say: “I’m gonna try and see if I can buy this thing for 280.” And if you go to the guy and say: “You know what, I’ll offer you 280” and he says: “Sold.” – right then and there you’re thinking: “Man, maybe I could’ve offered a little bit lower, he took it too quickly”, right? GP: And that, that’s the same process that the market’s going through. So despite just seeing numbers moving up and down, it’s still emotion. You’ve gotta look at levels where traders are feeling pain. And I say this in the chat room a lot, I say: “Where the market usually goes, where it’ll cause the most amount of pain and financial loss for the most amount of people.” And you can start to see that on the charts. I’ll give you an example: if the trend’s going up a little bit and there’s a lot of buying and you look at it on the order flow, that’s a key, um, key dynamic that we follow on the order flow stuff. You see it’s at a, at a high, there’s a lot of buying, there’s a lot of volume going through but it’s not going anywhere, all you’ve got now is a bunch of buyers with a bunch of sell stops below. So there’s a good chance, when everyone’s bought, it’s gonna go down because who else is left to push it higher, right? GP: So we’re just, we’re basically all day analyzing emotion. There is a lot of emotion in the chart, it’s just how you read it and the perspective you bring to it. TH: Do you think a lot of insider trading goes on at that level? Like, what are your, what are your thoughts on that? TH: It doesn’t, it doesn’t happen though like futures or options, right? Or is it possible there? Or just equities? Cause I can see on like the equities’ side, with company information, if you know a company’s gonna go out of business, you might as well start shorting that company now. TH: Is it possible, like, you know, I guess, oil, do you… I guess you could get the oil number quicker than somebody else and be able to short it, but do you think insider trading is more prevalent and – I guess is my question – on the equities’ side versus futures? GP: Um, probably more on the equities’ side because when, when you’re a company, it’s a single company, the management knows a lot more of the business and the future direction of the company, whereas oil, no matter who you are and how high of a position you’re on, you don’t really know much more than others, right? It’s a bigger market than the one company. TH: Is it… So it’s, it’s actual trading, not just bids and offers going in the market? GP: Don’t worry, you don’t have to do a Control + Shift + P or Control + Shift + N, it’s a completely legitimate website. It’s basically any insider that does a trade or transaction, they have to file that, um, and you can see that, it becomes public information. So that’s not real insider trading but it’s useful to know if Tim Cook from Apple’s dumping a whole bunch of shares. You could see that. You’d know exactly when and what price he sold them at. GP: Yeah, that is a great screener too. TH: It was one of the things that drove me out of the market, was all of a sudden in oil you’d see somebody come in with 200 bid or 200 offer and you’d hit one of ’em and it would just disappear. TH: Like, how, how has that – cause you’ve been trading over that duration – how has the regulation of spoofing changed how you trade or like how has it changed the markets in your opinion? TH: The first, I mean the first prop firm I worked at was over a hundred of prop traders and I think they have, like, 10 maybe left. TH: So obviously they’re going to group trading or it’s going to automate it, there’s not a lot of discretionary traders out there at the institutional level. GP: Yeah, it’s tough, right? And, and a lot of that’s a regulation too, the, the Dodd-Frank kicked them out. We’ll see what Trump does with that but if he lifts, and lifts on those regulations or redoes the legislation, it could open it back up, the banks get into prop trading, right? And then it becomes really lucrative again. Can Algos Beat Psychology and Can Psychology Help with the Inevitable Slumps in Your Trading Career? TH: That’s, yeah… There’s always going to be discrepancies in the market place, like, that’s, that’s what the, the exchange is – it’s the, you know, to find those discrepancies and find the true value of something. TH: Um, then actually, you know, it goes, we’re going back to the “Billions”, um, conversation. Would you ever go see a trading psychologist? Like, would you think that it would be beneficial to sit down and, and have a conversation? Cause that’s, that’s a big component of their training is that they sit down whenever they’re having struggles or having good periods of times and just discuss it with her to either help get back on track or continue with what they’re doing. GP: If you guys, if anyone who’s listening watched it, you’ll know exactly the scene I’m talking about. He was kind of, he had a really big slump and she went into his head and pumped him up and I, and at that time I was going through a pretty, it wasn’t a big slump; in the trading career – you’ll have slumps, you’ll – it’s not a slump, it’s more kind of like a few bad days will string together, you’ll be able to get out of it. And that show really hit me when, with that one episode and I said: “Man, I’ve gotta hire a trading psychologists ha ha!” I thought it was very uh, very interesting aspect, so, I do think, I’m not sure… At your prop firm, did you guys have one or not? TH: Um, when I got hired on, I had to sit with one. GP: And they cleared you? GP: Wow ha ha ha! TH: Ha ha ha exactly! GP: Good job! How much did you pay ’em? TH: They, they just wanted to make sure we weren’t gonna kill ourselves if we, you know, if we had a losing period of time and make sure that we were gonna be, be emotionally stable to… Say, say you have a large trade on and it’s not going in your favor, they wanna make sure you’re not gonna blow out the owner’s money. TH: You know, like, oh, you know, and I watched it, I watched a guy in the, the rookie class above me, he, we were trading and all of a sudden – he sat right behind me – and I just heard him go off, you know: “F*** this!” And he, and I look back and he’s in, like, 50 lots of a product. And I don’t wanna get into specifics but 50 lots of a product and there is a big quote board where you can see people’s P&L – every, every trader in the room’s P&L you can see it and so, he’s in 50 lot and you’re seeing that he’s drawing down, like, 10.000 dollars, let’s just say hypothetically 10.000 dollars, where his stop should’ve been 5.000 for the day. So he’s already over his stop and he puts on another 50 lots that, that double up the pay…. And he blew out, he lost, like, some absurd amount of money and they, they fired him, like, that day. They, he was out the door, they, like, you know, they can’t have somebody that’s that emotionally unstable, you know, trading. Cause when he should’ve won or lost 5.000, let’s say he lost 50.000 dollars and it’s gonna take him that many days to make up that money, it’s just, you know, what happens if it happens again? GP: It’s so funny you mention that, that, that story itself should have so many learning lessons for people coming into this business cause, think about that, you get fired for making that decision, but how many times do retail traders think that, “hey, the best way out of this trade is to average in and buy more”? Or that Martingale strategy: “Let me keep adding until, until I make money.” Great, you’re gonna make money but one day you’re gonna go broke with that strategy, right? TH: Do you think that’s because of stocks, though? Do you think stock trading has taught people to do that? Cause that’s a, that’s a popular strategy, that Dollar-Cost Average. TH: …they teach that in finance class, you know? GP: Yeah, and I think that’s kind of where that psychology comes in – you pull up a chart of a company, it’s gonna work, but what about the dead ones? TH: Oh, right. And, and then on, you know, like, commodities, like there, there’s no way that can pass and work in commodities cause they go up and down all the time. Think of the people ever doing with gold, and I, I’m a gold bug personally, but think of the people who were doing gold back in 2011-2014. TH: Wow it’s came up, it came up quite a bit. Risk Management – It’s All about the Lot Size! GP: …and it shocks people that in trading you can be right one out of ten times and still make money. It’s all about how you manage your risk. TH: Right. That’s a, that’s a great point. Do you, do you, uh, do you scale up and down in your trading? Like, so, do you trade one lot and then if it’s going well you, you put another lot on, and if it’s going well, you put another lot? Cause to go to that point where if you only did one lot, uh, on nine of the trades you lost, but then you did a ten lot on one of ’em and made money, you can make more money on that ten lot than you can on the nine losers. GP: Exactly. Definitely, it’s a, that’s a really good point. Some markets are really good for that, if you’re, if you have a nice trending market, like if you go on a daily chart and you’re seeing some consistent trends, um, it’s a good opportunity to, to be able to get in there and build positions. For day trading I found that whenever I scale into trades, by the time I scale in, everyone else is kind of jumping in with me as well and then that trade’s over. Because they’re, they’re shorter lived opportunities, I don’t scale as much on a, on an intraday perspective but a longer term, it’s definitely an opportunity to, to scale in and add more lots on the way up. TH: OK, sorry, I was just pulling up the, pulling up the chart. GP: So you’re gonna look at it probably like “What is he talking about, 1 or 2 and a half points?” But for me, that’s my full move, I’ve scaled out by now, I’ve probably taken… I look for plus 4, 6, 8 and 12 – that’s my strategy, so I’ll do quarter lots, I’ll exit on the way out. So, for those of you who don’t know what that is, I’m essentially going for 1 point, 1 and a half, 2 points and 2 and half points maximum on S&P. And being able to capture that multiple times a day is much easier than going for a 6 point winner. 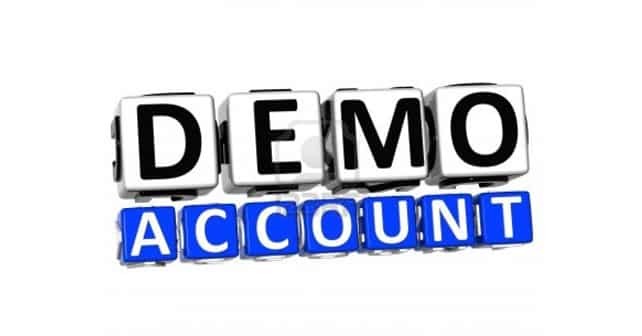 Trading on Demo Accounts – Yes or No? TH: Do you, um, do you encourage people to trade on demo accounts? TH: Do you think there’s a point where you just need to get off of it, say “enough’s enough”: either quit and don’t move forward or move forward to a live account? Do you think there’s, uh, that period of time in there? GP: Um, you’ll, so you’ll usually know. It’s one of those things that you’ll know, um. I think, I think there’s two things you’ve gotta remember: you’re always kinda balancing – you’re balancing the strategy – the vehicle that you’re trading – and then kind of the operator of that vehicle. And the demo is not so much to test the strategy, the demo’s more to test the operator. It’s kind of like a driving test, right? Before you get in the car you usually have a written test. Your Hope Is Increasing but Your Edge Is Slipping? It’s Time to Get Out! GP: Yeah, and I’ll share one thing actually that, that we teach in TRADEPRO Academy: it’s, it’s the curve that crosses. So, if you picture – I dunno if, I’ve gotta look at the camera – if you picture, like, your edge in a trade – when you get in, your edge starts here and as you wait, your edge starts to drop. So as, as time passes, and you’re not being profitable, the edge of your trade, from a statistical point of view, starts to drop, its conditions are changing. And at the bottom you have the curve of hope: the longer you’re in a trade, the more your hopes are increasing you’re going to start making money. And I try to catch the moment in my trade where my edge slips enough and my hope goes up that they cross. Whenever I start… When I’m holding it, if I get in based on all my parameters being hit and it’s a great trade, great, I’m in. But when I start to notice that hope is increasing and I’m slipping a little bit on the edge, conditions are changing, some of the market correlations are dropping off, and I start thinking: “Alright, well, it’s not goin’ up, but maybe it’ll go up, right, I hope it’s gonna start going up” – that’s when I try to can that trade and get out, because you’re dead at that point. GP: …I think the one algo that I would probably be a 100% confident in is the point in the market is to do the exact opposite of what Gartman says. GP: I would love to set up an algo with a fades Dennis Gartman. But he… Look, I read his newsletter for, for a little while, he has some cool things that he points in there, and, I mean, I think it’s what we try to take out of these people that we follow, we try to get the one Holy Grail of direction, where the market’s gonna go. And I see benefit and value in everyone’s opinion, and like, you know, I can’t say that he’s a bad guy or anything, I just don’t really care about what anyone else thinks because at the end of the day, it’s my money. And you shouldn’t either. Nobody should care about what the other guy thinks. Uh, formulate opinions, get as much info as you can, but when you click that button, you’re, it’s all you, that’s the beauty of the business, right? TH: No, no one else is gonna pay, pay the loss if you lose it.